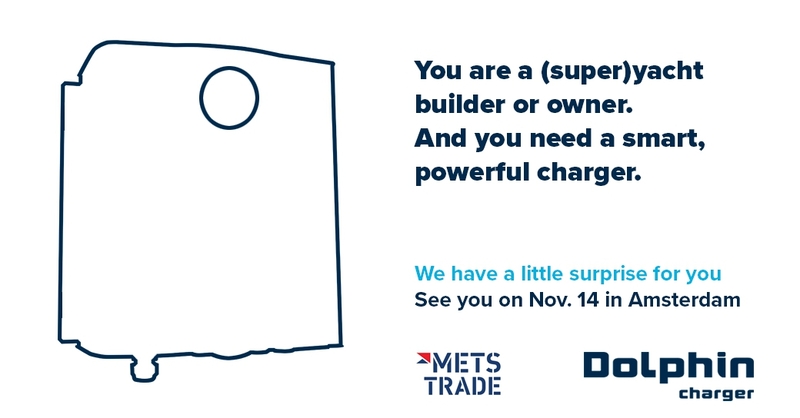 AMSTERDAM, Monday 12 November 2018 - Today, on the eve of METSTRADE (the world's largest trade exhibition of marine equipment, materials and systems, in Amsterdam), Dolphin Charger has issued a Special Edition of its Newsletter. 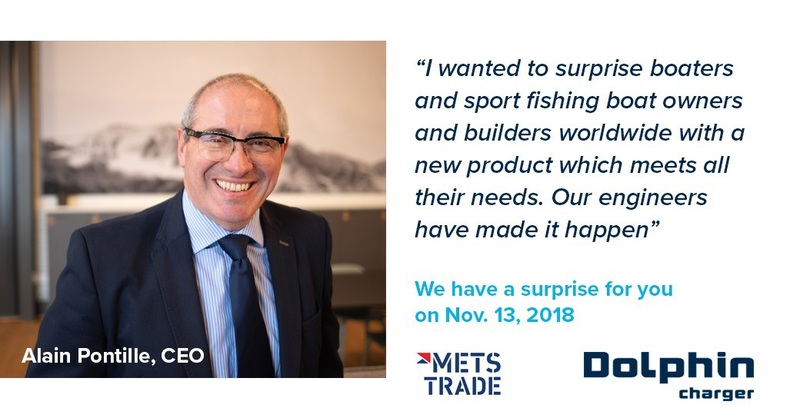 "In this issue, we are unveiling the two power products that we will be introducing officially tomorrow, Tuesday 13 November, and on Wednesday 14 November at METS, on Stand 01.623", says Nicolas Fata, Head of Export and OEM Relations. "This week is a historical week for Dolphin Charger, the specialist in standard and OEM-custom power electronics. We have great ambitions for 2019, starting with two powerful surprises on 13 and 14 November 2018", says CEO Alain Pontille. 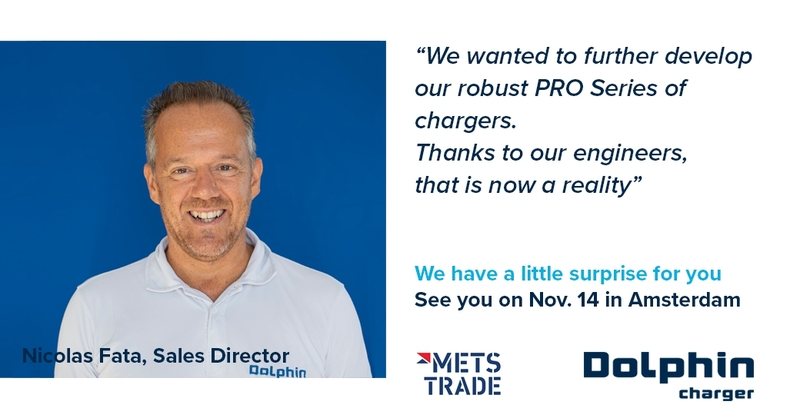 The whole Dolphin Charger Team is on deck, ready to meet B2B partners and prospects (boatbuilders, OEM, naval yards, naval architects...) on METS Stand 01.623 from Tuesday 13 thru Thursday 15. You liked Dolphin Charger before? You will love us now. 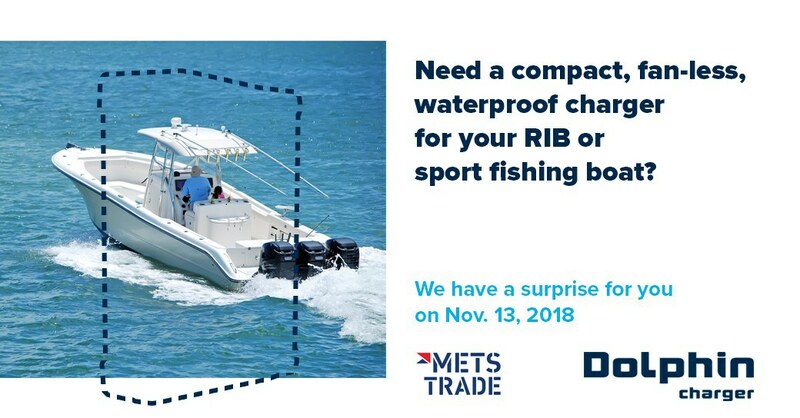 Read our "METS Special Edition" newsletter here. Want to receive our (quarterly) Newsletter automatically? Simply Register here. 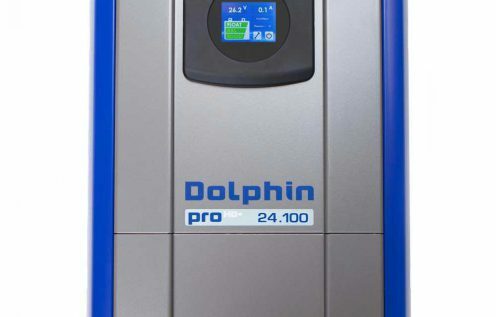 The Dolphin Charger Newsletter features our latest products and company news. 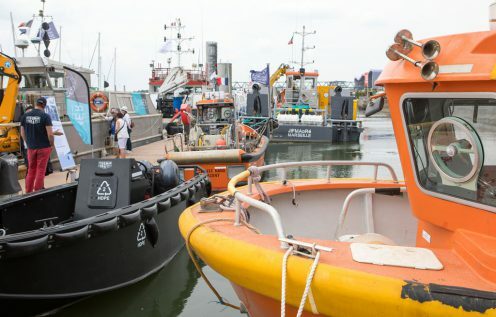 It is aimed at all our stakeholders: from Boat Builders to Boat Owners, from OEMs to Naval Architects and Marine Electricians. And of course from Distributors to Resellers all over the world. "From standard to full-custom solutions, we will also show you what our team of engineers and other experts are capable of", Alain Pontille adds.